Back in the mid-1800s, Alexander Campbell received the ire of many religious bodies for having the audacity to produce a new translation of the New Testament (Because, they would say, God Himself inspired the translators of the King James’ Version). In the first edition, he took most of the translation from various well-respected commentaries (George Campbell [no relation], MacKnight, and Doddridge) and edited it together in one volume. In the second through fourth editions, he made several changes, seeking to have more uniform translating principles throughout. It’s really interesting to note the background given above, because some years later, the Baptists organized a translation committee with some other religious groups (including the Disciples) called The American Bible Union. And they recognized that Campbell was no slouch when it came to knowing the original language–so they chose him to translate Acts of Apostles. As each book was translated for the A.B.U., it was published and distributed for comment, and it would then be revised prior to its inclusion into the finalized New Testament. Translation notes on all three. Because of the sheer amount of Greek, and the amount of notes (see picture above), we have decided to add this book to the Jimmie Beller Memorial eLibrary as published, and not attempt (at this time) to do any updating to to it (as we have with all the other books in the library). It would just be too overwhelming of a project for now, but we want to get this book out for as many people as possible to enjoy. The higher quality scan, as seen in the image above, is too large for us to upload to our website (115 Meg), so you will have to download it from a special link (no worries). The second option is black/white, and is 1/10 the size of the other one, and while it is easier to read, it has a LOT of underlining and notes in the margins (This was a scan we made from Jimmie’s personal copy). Note the picture below is the same page as the picture above, from the other copy. To download the B/W version (easier to read, other than the underlining and notes), click this link below. 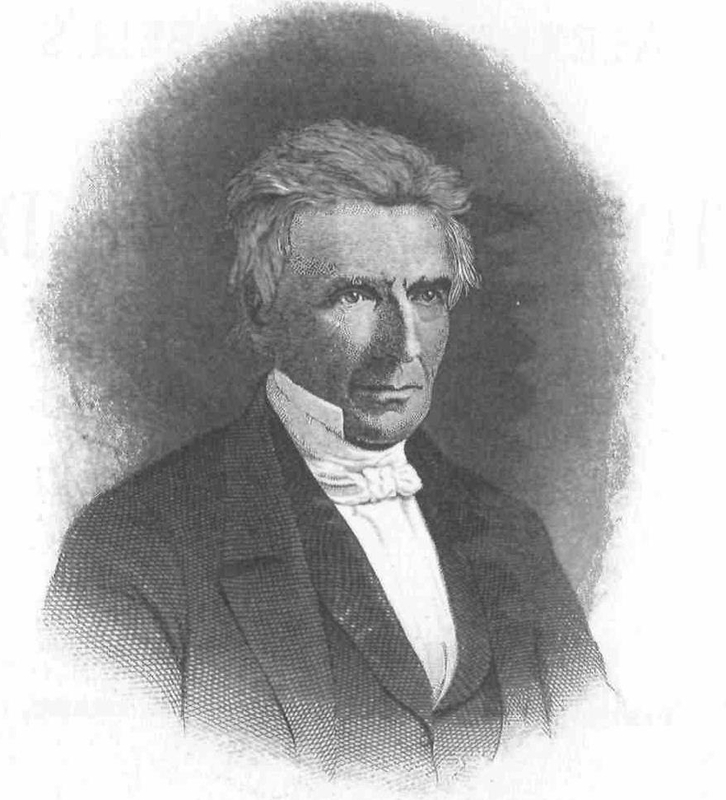 In 1847, Alexander Campbell was invited to speak on “The Amelioration of the Social State,” and the lecture went over so well that the group which requested him to speak sought his permission to publish it. The lecture itself is about the importance and influence of a godly woman on all sections of society. Going from an original copy of this lecture (which was in HORRIBLE shape, both in printing and in paper quality), we have completely re-formatted it, increasing the font size, clearing it up, and making it look a whole lot nicer. And now, we present it to you as the latest addition to the Jimmie Beller Memorial eLibrary! Just click the link below to read it or save it to your electronic device! 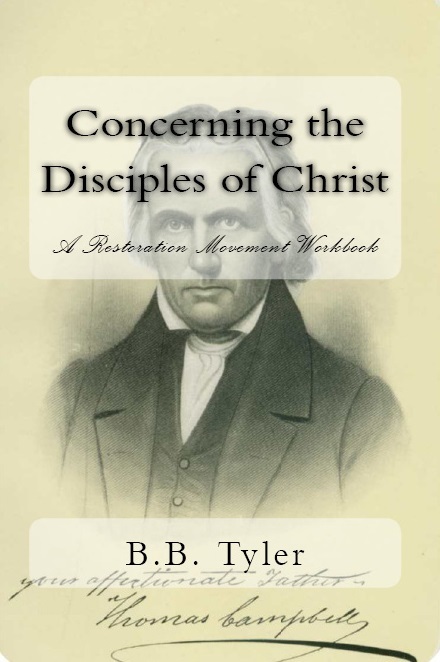 The Jimmie Beller Memorial eLibrary is proud to present the newest addition: Concerning the Disciples of Christ: A Restoration Movement Workbook. Devout Christians, despising the divided state of Christianity, set about on a supposedly impossible mission: to bring about true unity in those who claimed Jesus Christ. From humble beginnings, the influence of this grand idea spread like wildfire, with the simple idea of unity based on Jesus Christ. Instead of creeds and confessions, denominational names and dogmas, these brave men proclaimed Jesus Christ and Him crucified, and showed what the biblical plan for saving men is. 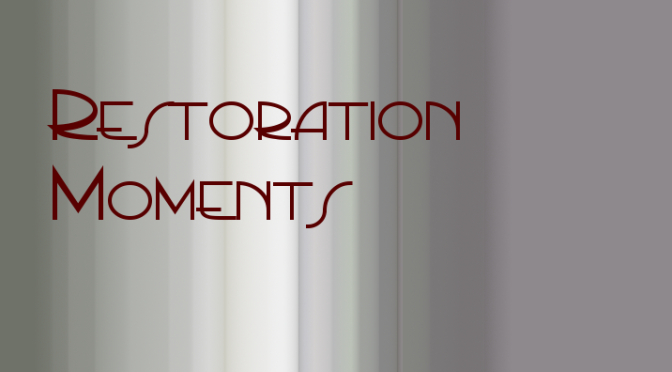 They weren’t satisfied with reforming the existing order; they knew that what was needed was a complete Restoration! Written for the everyman, “Concerning the Disciples of Christ” helps explain the who, what, when, where, and (most importantly) why of this movement to get back to the church found in the pages of the New Testament. With a full editing job, including the addition of several footnotes, this updated version is made to give you the best possible reading experience! NOTE: This book is also now available in paperback for those who like having the real thing in their hands. Click here to order it from us, or here to order it from Amazon! 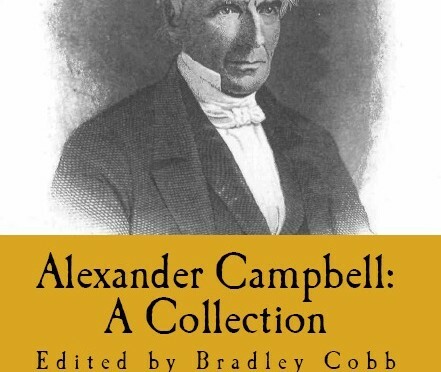 Alexander Campbell was well-known throughout the English-speaking world when he was alive. His writings were spread far and wide, and he earned both respect and antagonism throughout his lifetime. As you may have seen in one of last week’s additions to the Jimmie Beller eLibrary, Campbell was highly praised by at least one Baptist preacher as a man to emulate. But in today’s new library eBook, you’ll get to see the other side. News had traveled of Campbell’s impending arrival in Scotland, and while many were interested to hear more of what he had to say, at least one man was determined to see him humiliated. Amid false charges and attempts to interrupt his speeches, the truth of the gospel was still spreading. Campbell ended up in jail because one man refused to entertain the possibility of being wrong. Oh, there’s more to the story, believe me. And it’s ready for you right now! But one final thing before you get to the link. 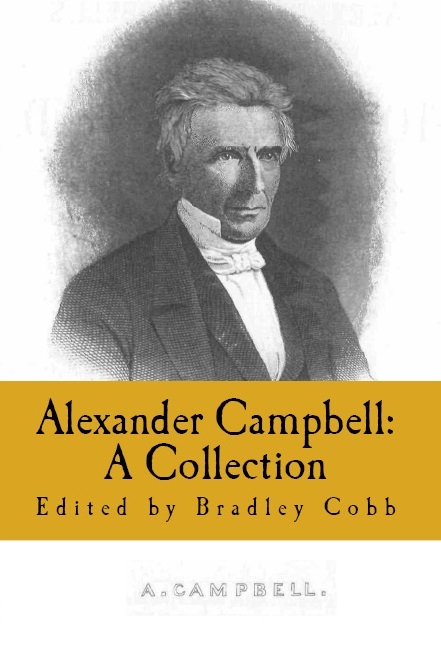 This book, “Alexander Campbell’s Tour in Scotland,” is available in print as part of Alexander Campbell: A Collection (Volume 1), if you are so inclined. We now present the latest addition to the Jimmie Beller Memorial eLibrary. Just click on the link to read it online, or you can download it to your computer for later reading. For those interested in the Restoration Movement, here’s a unique read that you’ve probably never seen. 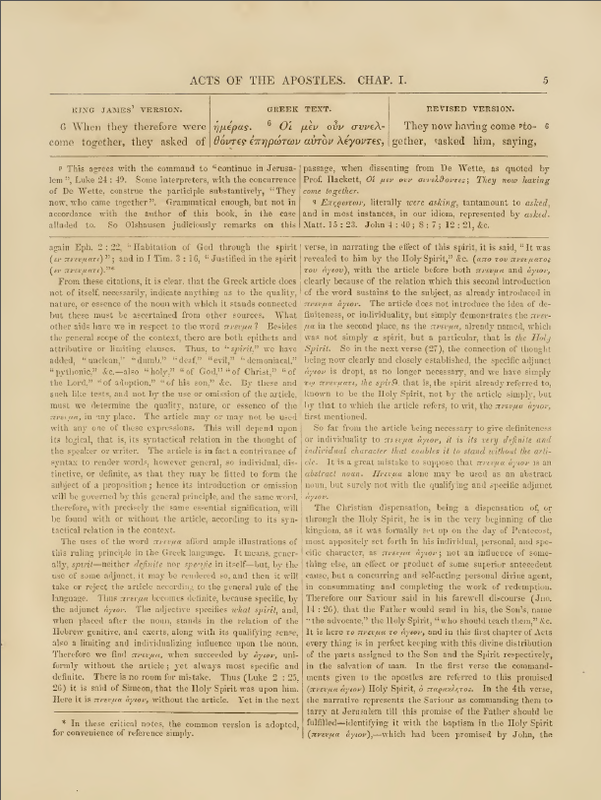 In 1892, a Baptist “pastor” from Denver, CO, gave a series of sermons about “Seven Great Lights.” That is, about seven religious figures in history that he thought were worthy of emulating. Surprisingly, one of the men he chose was Alexander Campbell. This is a short bio (just ten pages), but it’s interesting to see how he was viewed by at least one Baptist preacher. To read, simply click the link below (or right-click and save it for later reading). Due to having a very full schedule, our posts have been less than regular, and for that I apologize. But because of your patience, we’re going to give you a freebie. And feel free to tell others about it too. The issue of demons and evil spirits is prevalent once again in our culture, and people are asking questions like: what does the Bible say about demons? Where did they come from? Do they still work among men today like they did during the Bible times? What are demons anyway? Alexander Campbell took the time to give a lecture on this very topic, and it is quite interesting and informative. I won’t give away his conclusion – then why would you read the lecture? His lecture on Demonology is featured in the book Alexander Campbell: A Collection, (which is well worth getting, believe me), but since you’ve all been so patient with us, we’ve giving it to you for free today. The following article is 170 years old, but speaks to a problem that still plagues many people today. That is, when someone dies, their friends want them preached into heaven–regardless of how they lived their life on earth. That General Jackson was as true a patriot as any living man, ac­cording to his views of patriotism, and of his country’s rights and honor, I never doubted. That he was a great General, and possessed of as great animal courage and decision of character as most other men,—nay, much more than most men,—I have always conceded. That he was also as accomplished a gentleman in his manners as any other man in the nation, and possessed of a great mind of a very particular order, I have always cheerfully admitted. But that any of these are Christian virtues, or that he during his life exhibited any of the characteristic excellencies of a Christian, has never been demonstrated to my satisfaction. On the contrary, he was characteristically pro­fane, irreverent, and enslaved to passion—even to a proverb. Still, that he may have repented and been forgiven in his last moments, no man can confidently and consistently deny. But that there is any positive evidence of it, I have not as yet learned. Our worthy and excellent correspondent, Father Henley, now almost in sight of the promised land, feels it his duty to bear a decided testi­mony against the perversion of sacred scripture in the instances speci­fied in connection with the last moments of the Hero of New Orleans. I could not with propriety refuse the privilege he demands, although my great respect to the memory of so distinguished a citizen is such as to induce me to prefer that it had happened in some other case. Still, as the passion and the fashion of the age is to send all great men to heaven despite of all that they may have said or done, with or without a professed repentance, the occasion justifies a remonstrance against such a profanation of things sacred and divine. The more illustrious the name, probably the more necessary and justifiable the remonstrance against such abuses. Were it a case of some mean or contemptible person, the remonstrance might be less effectual than when adminis­tered in relation to one whose public benefits are so generally appreci­ated, and whose fortunes, good or bad, are the fortunes of his country. To reprove sin in the humbler walks of life, and to wink at it in the higher, is too much the fashion of this age—and it is the characteristic of a mean, worldly, and servile spirit. It was not so with Nathan, Elijah, or John the Harbinger, nor with any one with whom God was well-pleased. Hillsborough, King & Queen, June21, ’45. Dear Sir—It is always unpleasant to call to mind the errors and vices of men living; but much more so after their death. But when the friends of the deceased General Jackson have been so imprudent as to publish to the world that which will injure the rising generation, and constitute a prostitution of the Spirit of Truth, as revealed in the Bible, the friends of the deceased cannot, in justice, complain against those who shall step forward and endeavor to disenthrall those sacred principles from the grasp of the errors of sectarianism, which is a hindrance to the salvation of the world. Was General Jackson looked upon as a common citizen, no notice from me would be taken of his perversions of “the spirit, principles, and statutes of that Holy Book” (which he says) “have been the rule of my life, and I have tried to conform to its spirit as near as possible. Upon that sacred volume I rest my hope of eternal salvation, through the merits and blood of our blessed Lord and Savior Jesus Christ.” This was said in answer to “some reverend gentleman’s” inquiries on the 29th of May last. See the Richmond Times, June 20th, 1845. “We have made a disgraceful sacrifice of our territory. An impor­tant portion of our country was given away to England without a shadow of title on the part of the claimants, as has been shown by the English Ministers on referring in Parliament to the King’s map, on which the true boundaries were delineated, and of which they were apprized when urging their demands.” See “rimes” as above. This last part is published in the Times. In his first campaign, it is said, “he disobeyed orders from the Secretary of War.” His bio­grapher records five battles he had with the Indians and English, and left dead on the field about four thousand human beings. He says nothing, as I have seen, of his having sacrificed the lives of American citizens, who had been acquitted as not guilty by a regular court mar­tial of his own choice. Neither does he mention the duels and public frays he had been engaged in; nor the tyrannical and despotic course he has pursued towards all those that differed with him upon any sub­ject. We shall say nothing of his private character, than now published, until forced by his friends, in defense of the Bible; nor should we have doubted so much of his salvation, had he recorded his deep repentance, reformation, and immersion for the remission of his sins, and not have breathed the spirit of vengeance towards an enemy, as his last communication to his friends now proves. 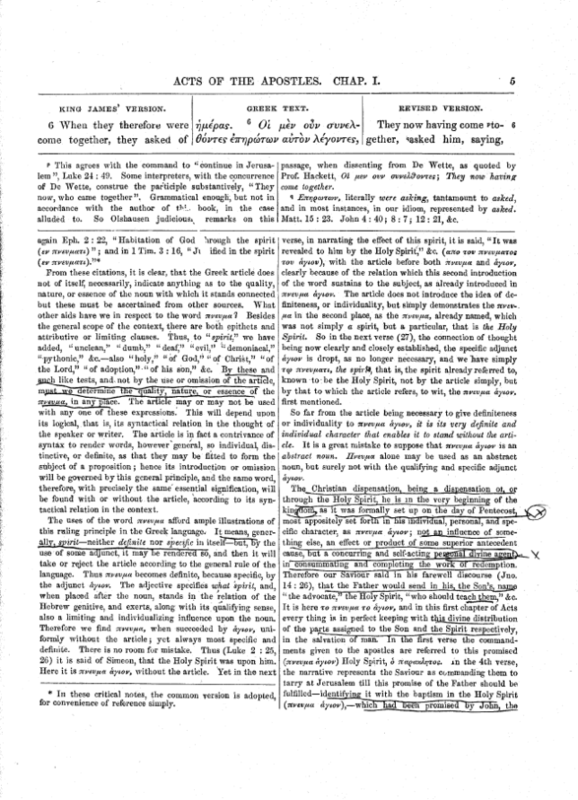 Let us now contrast this published sketch of his life by his friends with the words of the Savior and his Apostles, of whom he says he has made their teaching “the principles and statutes the rule of his life, and has tried to conform to its spirit as near as possible.” I ap­peal to every Christian who fears God and keeps the commandments of Jesus, to say whether there is one example or precept of the Savior or his Apostles that authorizes the belief that the above sketch of the character of General Jackson, given by his friends, is in any wise the rule laid down by them for the salvation of sinners; or whether such a life is in any wise conformable to the spirit of the gospel. Painful as is this subject to me, and may prove to others, I am con­strained to say, from a sense of duty I owe to God and the whole human family, that I have not the least hope of the salvation of any such a character without deep repentance and reformation, though he may be a believer in the Son of God and have been immersed for the re­mission of sins. To an obedient penitent believer, such as “continue in well doing, seeking for glory, honor, immortality,” the Apostle says, “eternal life,” will be given. The Savior says, “Not every one that says Lord, Lord, shall enter into the kingdom of heaven; but he that DOETH the will of my Father which is in heaven.” We call upon these panegyrists of General Jackson to prove from the New Testament, if they can, that in it “eternal salvation” is promised to any but humble, penitent, obedient believers. If this cannot be done, and he died without repenting and confessing his sins, for requesting or hoping “that no part of our territory or country [though he admits it has been given away to England] will be submitted to any arbitration but at the cannon’s mouth;” how can anyone represent him as then pos­sessing the spirit of a Christian! To me this is a horrid, murderous spirit, for a professing Christian at any time, much more so in the hour of death. This proves “the ruling passion strong in, death.” Hear now the spirit he professes he has tried to conform to:— “He that loveth not his brother, abideth in death. Whosoever hateth his brother, is a murderer; and ye know that no murderer hath eternal life abiding in him.” 1 John 3:14-15. “Hereby perceive we the love of God, because he laid down his life for us; and we ought to lay down our lives for the brethren.” “Ye adulterers and adulteresses, know ye not that the friendship of the world is enmity with God? Whosoever, therefore, [whether General Jackson or any other man] will be a friend of the world is the enemy of God.” James 4:4. “But God forbid I should glory, save in the cross of our Lord Jesus Christ, by whom the world is crucified unto me, and I unto the world.” Galatians 6:14. “See that none render evil for evil unto any man; but ever follow that which is good among yourselves, and to all men.” 1 Thessalonians 5:15. Again, “Love not the world, neither the things that are in the world. If any man love the world, the love of the Father is not in him.” “No man can serve two masters; for either he will hate the one and love the other, or else he will hold to the one and despise the other. Ye cannot serve God and Mammon.” Matthew 6:24. Jesus says to his disciple that drew the sword to defend him, and had cut off the ear of a servant of the high priest, “Put up again thy sword into its place; for all that take the sword shall perish with the sword.” Matthew 26:52. I ask, are these scriptures in conformity to General Jackson’s rejecting any other arbitration for a disputed claim than that of “the cannon’s mouth”? This, his friends say, is charac­teristic of him. General Jackson being a witness, says “the Bible is true.” Then it clearly appears, as the Bible is true, for him to make a profession of the hope of eternal salvation under the influence of such a spirit and character, “through the merits and blood of our blessed Lord and Savior Jesus Christ,” without repenting of such language as it is said he uttered, is a prostitution of the spirit of truth as far as he is believed. Let it be remembered that the throne of God would cease to exist as being righteous, were he to cast off any im­mersed, penitent, obedient believer in Jesus Christ, who searches his heart daily and hourly in order to find out, confess, and forsake his sins, and devoutly to keep the commandments of Jesus. No, this can never be. But also remember, that without repentance, reformation and obedience, God will not forgive any sinner under the gospel dispensa­tion. (See Luke 13:1-5; 19:8-10.) Thus men and women per­ish because they will not repent and obey the gospel of Jesus Christ. To hope for salvation without this change, is what Job calls the “hope of the hypocrite,” and Solomon says, “The hypocrite with his mouth destroyeth his neighbor.” Proverbs 11:9. Italicizing from the original correspondent.—A..C.
We are proud to announce the latest book from Cobb Publishing is now available! While about half of the previous volume was about Campbell, with the other half being some of his writings, this volume is almost all him. There is a very brief biography of Campbell to start off the collection, and then the spotlight shines on Campbell’s pen. In this brand-new collection, you can read his famous “Sermon on the Law,” get his thoughts on instrumental music in the church, find out what he has to say about the Bible and capital punishment, and even see his own translation of the book of Acts. This book contains over 300 pages of material for your enjoyment and edification. We have spent well over 100 hours in selecting, proofreading, and formatting this book to give you the best possible reading experience. We believe it was worth the effort, and after seeing it, we think you’ll agree! Is Capital Punishment Sanctioned by Divine Authority? This book is now available at Amazon.com in print ($9.49) or in Kindle format ($3.99), and if you use Amazon, feel free to go that route. The direct link to it is here. However, for the first week (that is, until next Monday), we will be offering a special price of $7.99 for the paperback, and $1.99 for the eBook! Click here to order it from us directly. And may your day be full of God’s blessings! The name Solomon Morton is probably unfamiliar to most people. In fact, it’s unfamiliar to most church historians as well. But his story is well worth noting. 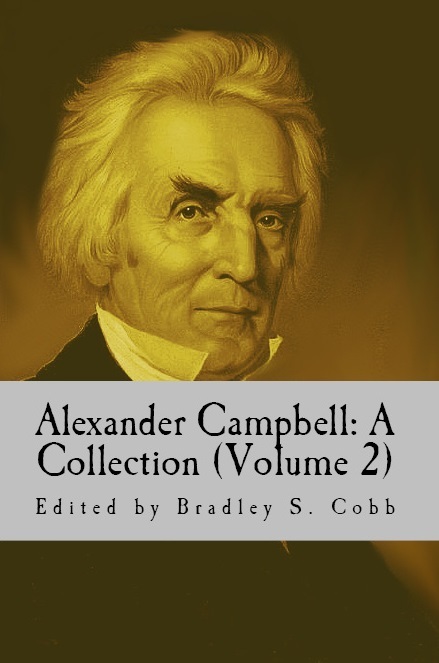 This week’s Restoration Moment comes from “Alexander Campbell’s Tour in Scotland” (written by Thomas Chalmers) which is available in Alexander Campbell: A Collection (Volume 1) from Cobb Publishing. Enjoy! Mr. Campbell’s victory over the Edinburgh audience was local, not general. It served rather to unite his enemies and intensify their bitterness for him. “Campbellism,” which had before been but a harmless delusion, became in the danger that now threatened Scotland’s religious peace, a ‘damnable heresy.’ No man now defended Alexander Campbell, the “arch-heretic” from this on, with impunity. In my own congregation there had been many who held views similar to those preached by Campbell and who had even advocated them before his coming, but they were quiet now unless they dared to face the music. Among these daring ones was Solomon Morton. Her­esy had been whispered against him before—now it was loud, since he was fearless in his defense of Campbell and his views. I tried as much as I thought prudent to shield my friend, but he had become so fully converted to the new ideas (or “the old ones” as he used to call them) that he could not refrain from openly expressing his confidence in them. This was going a little too far, and against my earnest action, he was brought to trial, charged with “holding doctrines contrary to the teachings of the Holy Spirit and perilous to be held both for the soul’s salvation and the safety of God’s church.” I tried very hard to prevail upon Morton to retract, but he firmly held his ground. The day for trial came—it was held in the vestry of the church and many ecclesiastical dignitaries from abroad were there to witness the first trial for the Campbellistic heresy. It began at ten o’clock. After a prayer by a visiting preacher the proceedings of the day began. The presiding presbyter stated the purpose of the meeting; and the general charge, which we have mentioned, was read, and followed by a warm discussion on the part of his prosecutors. He was accused of sympathizing with slavery and man-stealing, of holding doctrines not in consonance with the Westminster Confession, of having discarded the Presbyterian name, and of many other things which made him unworthy of further Christian communion. Morton was then called out to answer these charges. He came forward, took out his Bible and opened it. Just then one of the prosecutors arose and reminded the chairman that a categorical answer should be required of the heretic on trial, he should respond ‘yes’ or ‘no’ to every separate accusation. The injustice of such a requirement was obvious. And, besides, it was contrary to the custom the Scottish Church had always observed. I immediately arose and objected to such a course of action as unworthy of the church and as likely to do us more harm in the eyes of our people than all the protection it could be in this case. I trusted we were not so fearful of Morton in his use of Scripture that we could not accord him such a hearing as heretics had always been afforded. After some discussion, Morton was voted ten minutes in which to make his reply. There was no response to anything that Morton had said. He was called down by the chairman on the second, but his ten minutes had been sufficient. His prosecutors became more rabid in their remarks, but the more reasonable portion of the session considered him with some favor. The vote was taken and by a plurality of two votes against him he was pronounced a heretic. This trial did us more harm than anything else that had happened to us. It was universally condemned as an outrage and such a reaction followed that several of our best members went with Morton and joined the Disciples in Edinburgh. It was the first and last trial for “heresy” of Campbellism that was ever precipitated upon a Scottish Kirk-session to my knowledge.